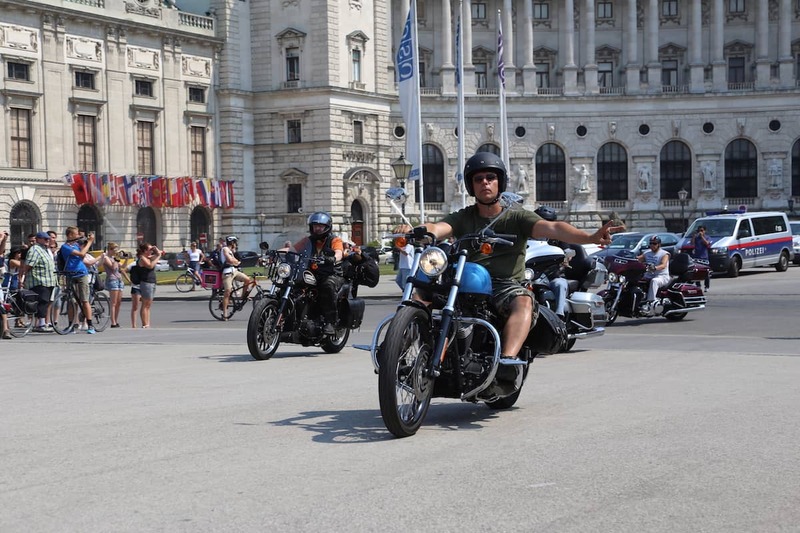 The annual Harley Davidson Charity Tour took place for the 20th time and as in the last years, their aim was to raise money for people in need, especially for children with muscular diseases. 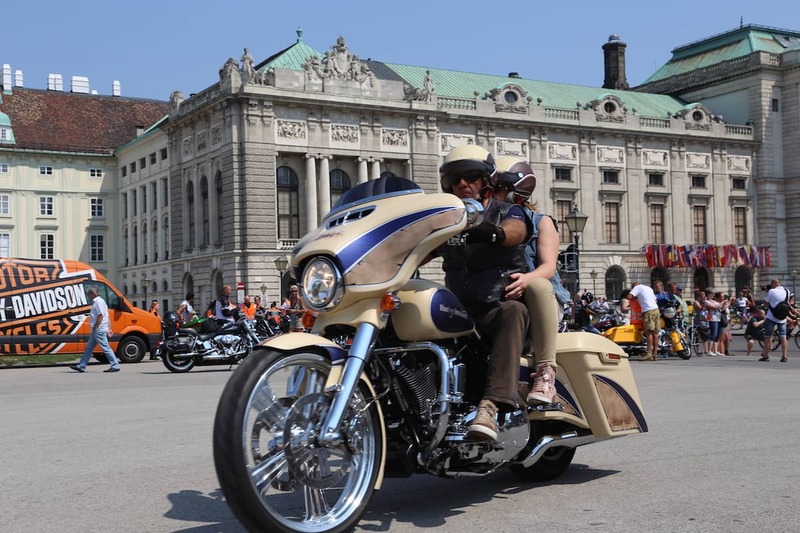 A successful story. 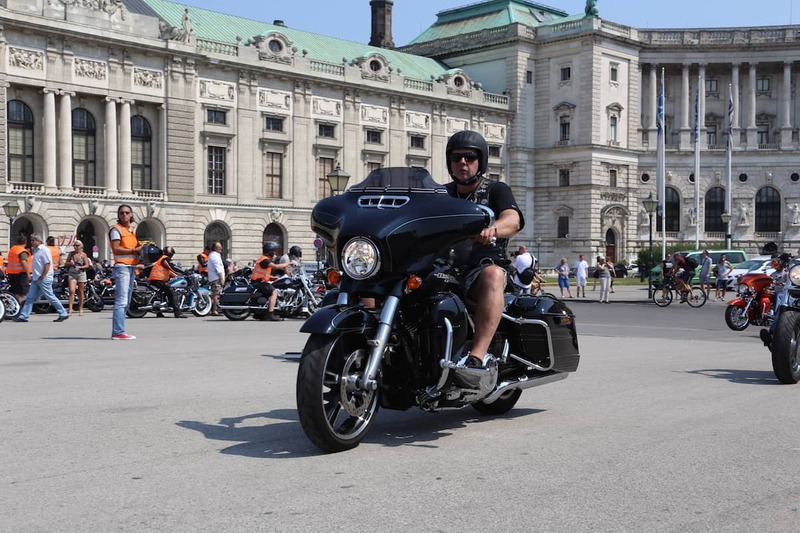 Bikers around HD-Charity-Funds president Ferdinand o. Fischer could raise nearly 2 million Euros within the last 19 years. 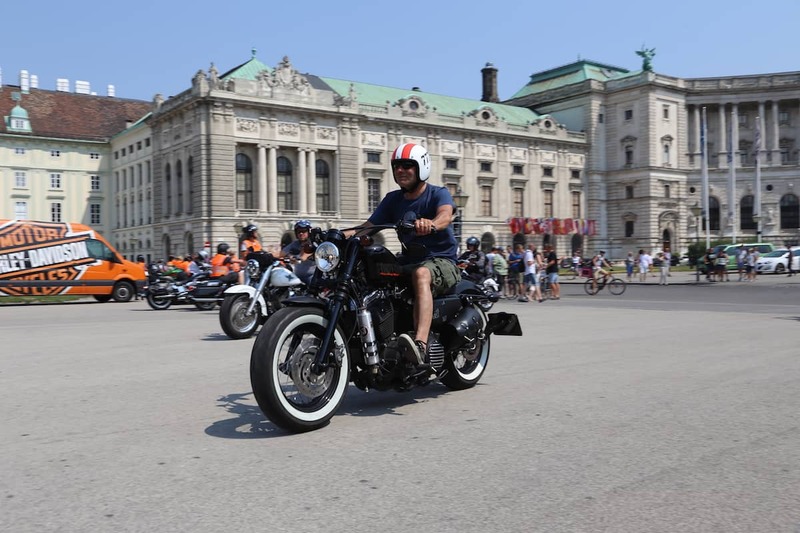 According to F. Fischer, this years donations will break the overall sum of 2 million Euros. 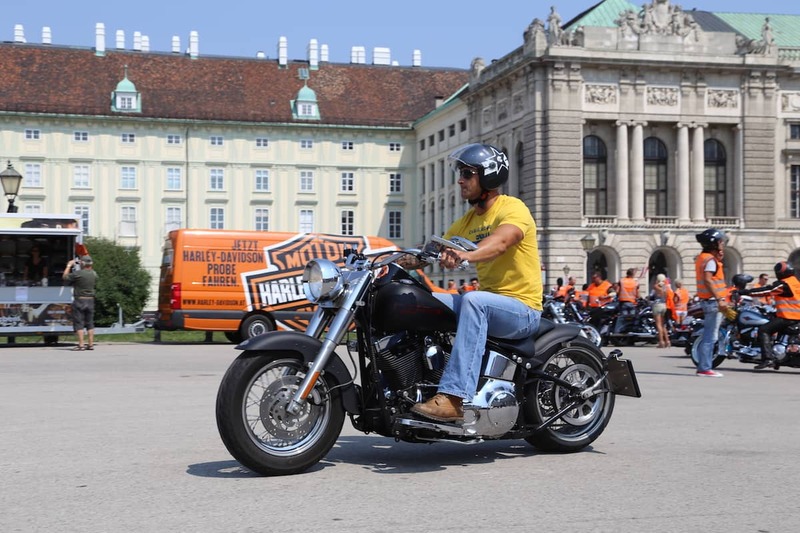 The HD-Charity Tour started on the 12th of August and led the 250 enthusiastic Harley bikers all around Austria. 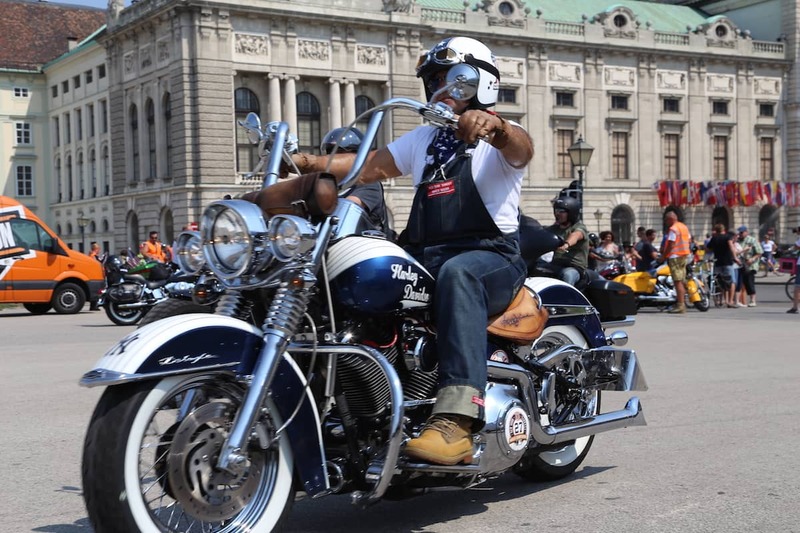 Supported by celebrities like Hans Knauß, Reinfried Herbst, Robert Kratky, Maya Hakvoort, Wolfgang Böck, Frank Hoffmann and Carl Michael Belcredi. 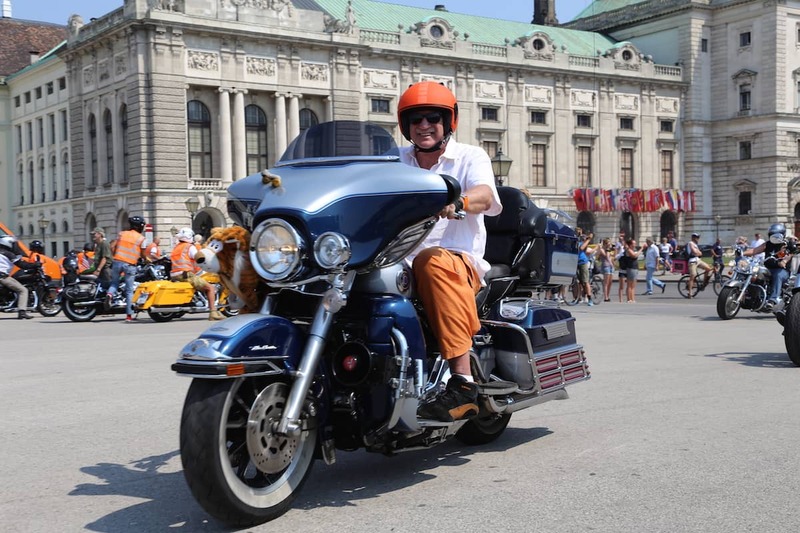 This year, journalist and tv-presenter Dominic Heinzl was joining the whole tour and moderated the events at every stop. 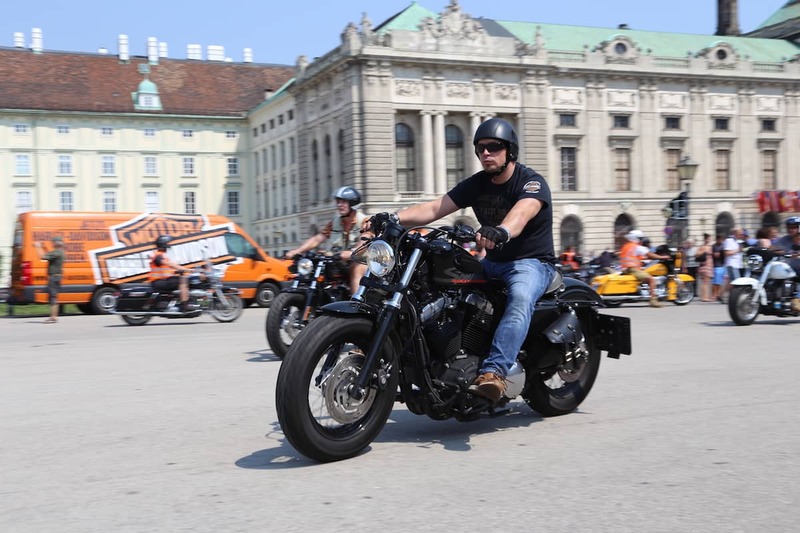 The tour led from Vienna over Graz to Klagenfurt and then from Lienz, to Schladming, Traun and as last place, to Baden. 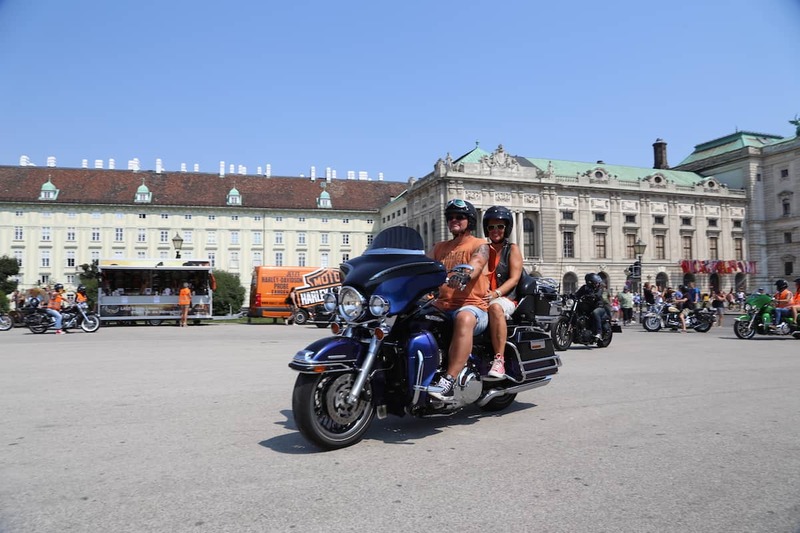 We visited their first stop at the famous Heldenplatz in Vienna. 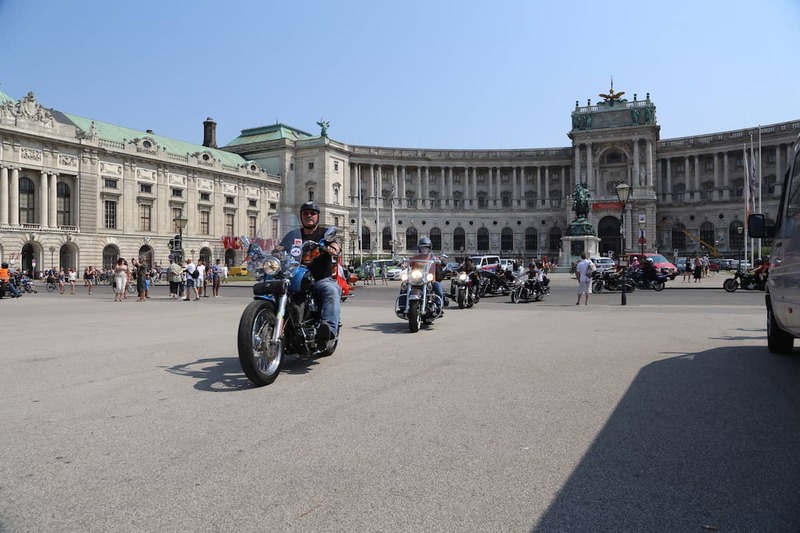 At about 2:00 pm a really loud growl could be heard before the convoy of 250 bikers entered the historic square in front of the Hofburg. 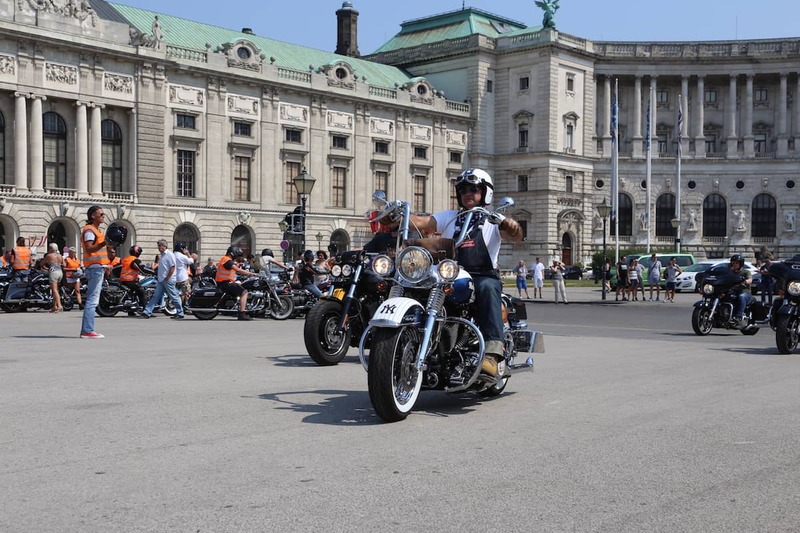 It takes quite some time for all the bike enthusiasts to park their rides so that the show could begin. 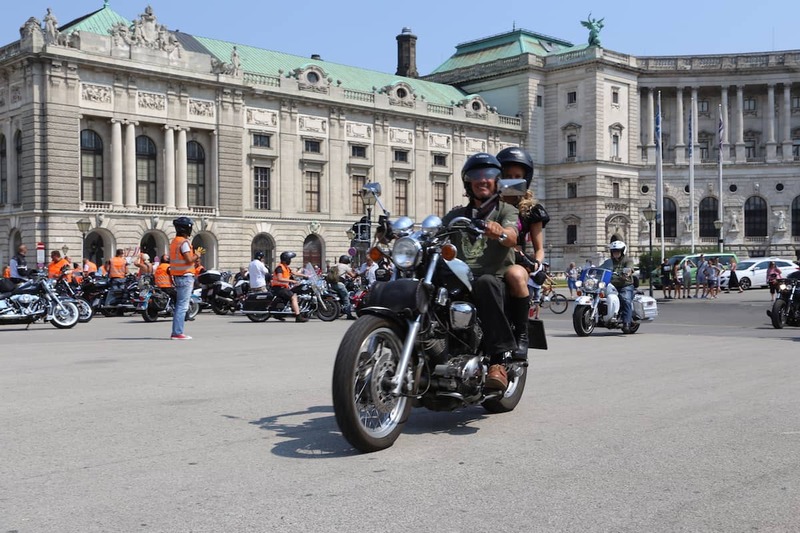 The speeches of Heinzl, Fischer and co demonstrated the necessity of this whole campaign and the important role of research as the muscular diseases are barely defeatable. 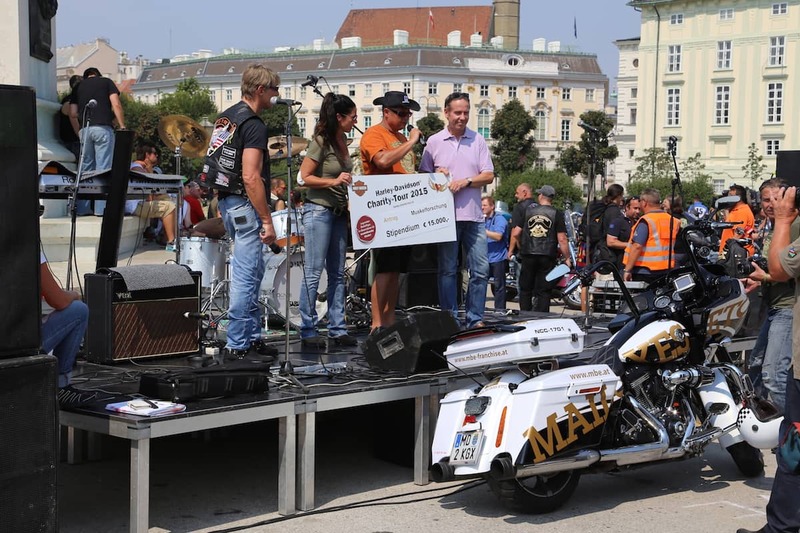 The money they raised during this Charity-Tour is used for affected families as well as for the “Licht ins Dunkel” emergency aid funds. 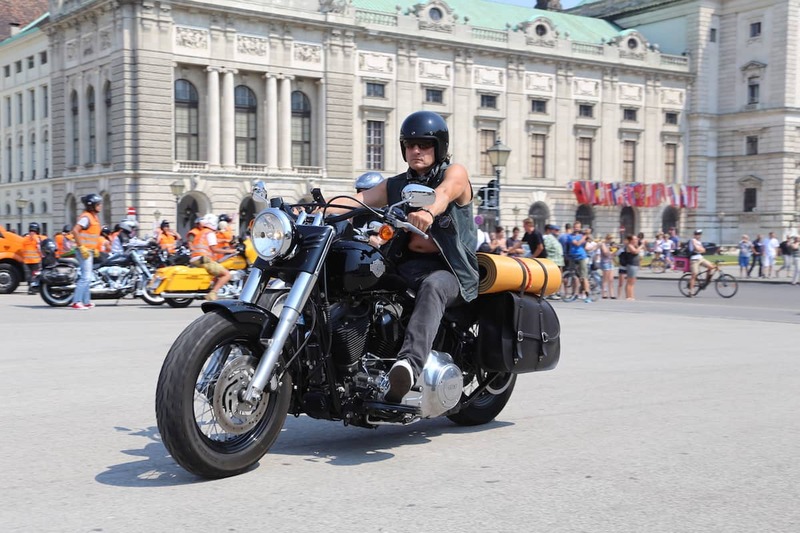 Short before the convoy was leaving for the next stops at Brunn am Gebrige and further Graz, a local Austrian band called “Virginia Ernst” was playing one of their 8 concerts during the tour (dates and locations via website link below).